Your Northeast Ohio Flooring Company. 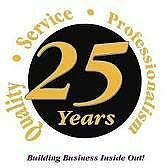 National Floor Source is built on 25years experience, servicing thousands of customers in Northeast Ohio. At National Floor Source we bring the highest quality, name brand floor covering samples directly to your home or place of business. This service provides our customers with many advantages. Customers can view the many different styles and colors of flooring in their environment, lighting and decor of where the floor covering will be professionally installed. Customers enjoy the individual attention they receive from our professional well experienced service providers. National Floor Source customers also love to experience the low, warehouse direct, complete bottom line price. With no expensive, costly showroom, in addition to our huge buying power, our customers save a lot of money on their floor covering purchase. National Floor Source installs all floor coverings by professional, well experienced flooring technicians for a perfect fit every time. All installations are back by a lifetime guarantee! Call National Floor Source Today for your Free No Obligation Consultation.